Hello all Windows users, in this Windows article I want to share with you new game requests for Windows 8, next version of Windows from Microsoft. If you also want to request a game for Windows 8, please feel free to share your idea here. Windows 7 is a great success for Microsoft and a great pleasure to use Windows 7 for users. But Windows gamers are now expecting an edition special to Windows gamers, like a Windows 8 Gamers Edition, or Windows 8 Gaming Edition. When you listen the gamers they are expecting a specially configured for best gaming experience operating system from Microsoft. And I see that many people around me are trying to build the best gaming PC for maximazing their gaming experience and pleasure. So, I believe Microsoft will also hear this shout!. Windows 8 Gamers Edition is a requirement after now. Users are looking forward a build-in free Windows Tetris game with Windows 8. Tetris for Windows 8 will boost the Windows games since Tetris game has long been played by all ages of Windows users. Of course, users can buy Tetris and download for Windows 8 PC's but a free Windows Tetris download for Windows 8 will be much more accepted with excitement among traditional Windows games players. My first suggestion for Windows 8 games list will be GO game. 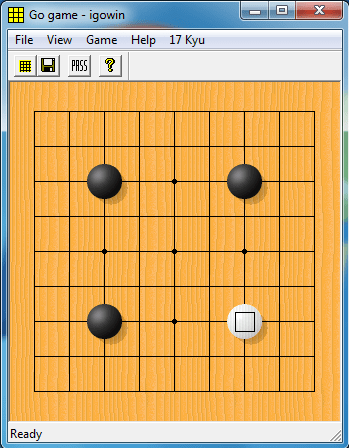 GO is a traditional Chinese game which is more like chess in tactical strength and difficulty. There are numerous levels to measure game strength of GO players. I believe Microsoft can create a Microsoft GO game which will be introduced with Windows 8, next version of Windows after successful Windows release Windows 7. Igowin from David Fotland is a very enjoyable software to play GO game. I expect Windows to build a better game for GO players and help GO community to spread GO game among Windows users. I'm sure Microsoft can make millions of Windows users play GO game. My second suggestion for a new game in Windows 8 is game Sudoku. Sudoku is very popular for the last five years. Sudoku has a very wide range of players from small ages to elder ages. So in my opinion, the game Sudoku has the potential to become a second Minesweeper game within Windows games if it is included to the Windows games family with the new Windows 8 version. I do not even talk about the intelligence contribution of the Sudoku game. 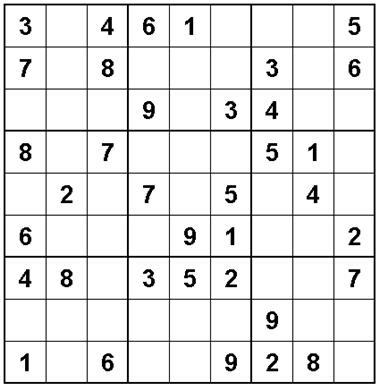 The Windows users could also send Sudoku puzzles to print and take with themselves for solving Sudoku later. Jigsaw puzzle games are lovely games enjoying players during play time as well as helping brain improvement especially in younger ages. A Windows 8 jigsaw puzzle game where players can select the puzzle layout by choosing any image in Windows folders or from web will create the feeling of freedom and joy. By choosing among difficulty levels, players will want to control the number of jigsaw pieces. This is like choosing a 1000 piece jigsaw puzzle or one of 2000 piece jigsaw puzzles increasing the difficulty than solving 1000 piece jigsaw puzzles. I believe you have probably seen childrens jigsaw puzzles in childrens books with 4 or 6 pieces. That is a reason of importance given by parents to childrens jigsaw puzzles. And this is explaining why Microsoft has to include a jigsaw puzzle game into its Windows games set. So why not Windows 8 have a jigsaw puzzle game default installed with every Windows installation ? 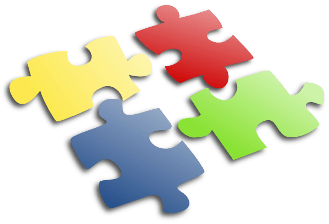 Think that how wonderful it will be when solving jigsaw puzzle is combined with the multi-touch features and multi-touch gestures of Windows 7. Update : Windows 8 Developer Preview version which is released free public available early beta version of Windows 8 now includes a build-in jigsaw puzzle game named Windows 8 Tile Puzzle game. Please refer to following Windows 8 guide Tile Puzzle Windows 8 Games for new jigsaw game. After improvements in graphics rendering technologies within graphics cards and the support of Windows 7, a 3D game within Windows games will have a high acceptance from the gaming community.